At First Impression Dental, we strive to provide the highest quality of dental care in a friendly and caring environment. We always treat our patients in a gentle, yet thorough manner while focusing on a very personal approach to our patients’ needs. Our goal is to create a welcoming, relaxing, no pressure, and no rush atmosphere where we treat our patients as part of our family, the way we would want to be treated ourselves. 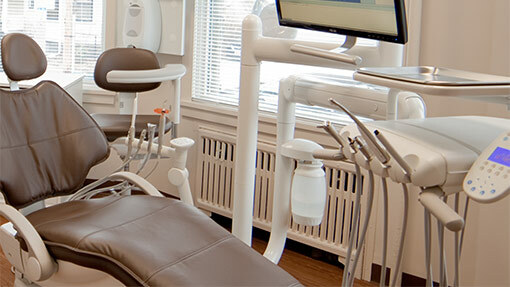 Our office is designed to provide the most current dental treatment, and unparalleled patient comfort and safety. We offer comprehensive diagnostic, preventive, restorative, implant prosthetic, and cosmetic dental treatment. We are located right on Massachusetts Avenue in Cambridge, between Harvard and Porter squares, just a few blocks away from the Porter Square T stop. Metered parking is available along the Massachusetts Avenue. At First Impression Dental we are dedicated to providing the highest quality dental care in a friendly, and caring environment. We work hard to offer personalized care and treatment so every patient feels most comfortable, and receives our undivided attention. As they say, “You never get a second chance to make a First Impression.” Book an appointment today and let us help your smile with our comprehensive and exceptional dental care. “Absolutely an excellent dentist. Careful, thorough, thoughtful; his attention to detail and expert dental technique gives me the kind of confidence I’m looking for. Having owned a dental lab for many years, I feel very fortunate to be a patient of his.” Tabor B. “Best best best!!! Meticulously clean, kind, attentive, knowledgeable. You’ll feel like a long time patient immediately. Can’t say enough!” Emily C.
“Dr Merzon was thorough in his evaluation of my mouth, jaw, and surrounding tissues. He was also expert in his administration and recommendation about treatment that was required. 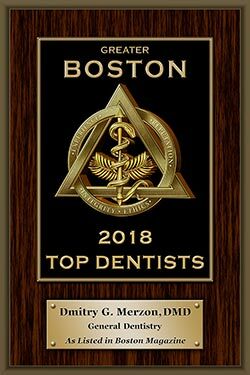 If you are looking for a dentist, call Dr Merzon, you will not do better than him.” Stefano N.
“Love the staff, service, and professionalism. Gail is an incredibly beautiful human in so many ways and Dr Dmitry is so knowledgable – I trust my mouth in his hands.” Shalhavit C.
“Dr Merzon and his team are excellent, I certainly recommend him. It is very rare that you find a dentist who is skillful, caring and has a brilliant bedside manner, well Dr Merzon is one of those rare cases. His secretary, Gail, and his assistant, Sharmila, are equally great, they are professional, helpful and friendly. I have visited him three times now and I am completely happy with my treatment and care. Thank you Dr Merzon!” Marzieh T.
“I will never have to look for another dentist again. I’m ecstatic to have found a dentist that already feels like a family friend. Dr. Merzon, Gail and Sharmila were simultaneously professional and funny, warm and thorough. Do it, you won’t regret it!” Sarah M.
“The best dental service I’ve had in this country!” Yawen L.
Monday: 8 a.m. — 4 p.m.
Saturday: 9 a.m. — 2 p.m (2nd & 4th). Our office is conveniently located on Massachusetts Avenue, near Porter Square. We are easily accessible via all modes of public transportation and there is usually ample meter parking available close by. Dr. Merzon made room in his schedule so that he could see me the day after I requested an appointment, which was so appreciated. He and his staff are kind, efficient and very professional. I definitely recommend First Impression Dental. I had a great experience here, the staff is very friendly and everything was explained to me clearly and completely! I left satisfied with my cleaning and ready for the upcoming steps in my dental healthcare. Hygienist did a nice job working around sensitive periodontal problem. Followed up with x-rays, detailed consultation with Dr. Merzon re: next steps, coordination with my periodontist. Very professional. I was able to get an appointment for my minor emergency although I am a new patient. Very friendly and welcoming staff. Dr. Merzon knowledgeably and patiently explained the future procedure required to take care of my problem. Everything about this place is great. Every person I interacted with was super nice, welcoming, and knowledgeable. I felt like I got higher quality care than I have in AGES while being totally at ease. I cannot recommend the place highly enough! I needed a dentist after I moved for a new job. They were friendly and welcoming. The office was very clean and had more advanced technology (x-ray scanner) than I had experienced before. Good as it can be for going to the dentist! Everybody is wonderful in this office! Dr Merzon is very thorough and professional and takes the time to explain all possible outcomes in clear terms. Absolutely an excellent dentist. Careful, thorough, thoughtful; his attention to detail and expert dental technique gives me the kind of confidence I'm looking for. Having owned a dental lab for many years, I feel very fortunate to be a patient of his. Best best best!!! Meticulously clean, kind, attentive, knowledgeable. You’ll feel like a long time patient immediately. Can’t say enough! Dr Merzon was thorough in his evaluation of my mouth, jaw, and surrounding tissues. He was also expert in his administration and recommendation about treatment that was required. If you are looking for a dentist, call Dr Merzon, you will not do better than him. Love the staff, service, and professionalism. Gail is an incredibly beautiful human in so many ways and Dr Dmitry is so knowledgable - I trust my mouth in his hands. From the pleasant greeting at the check in to smiles and professional teeth cleaning, I was truly relaxed and out the door with a bag of dental goodies saying “I don’t mind going to this dental office” , way to go Dr. Merzon! Lovely staff and service. Careful, attentive, and detail oriented. Will continue to see even though they are out of network. I will never have to look for another dentist again. I’m ecstatic to have found a dentist that already feels like a family friend. Dr. Merzon, Grace and Chayanne were simultaneously professional and funny, warm and thorough. Do it, you won’t regret it! Efficient and thorough. Dr. Merzon and the team were very friendly, helping me to relax during a dentist visit, which is no small feat. What a wonderful experience. I'm super picky about my dentists. Every person in this office warm and friendly. No more nervousness about visiting a dentist! An earlier review mentioned "friendly, welcoming, caring" -- I couldn't agree more! Best dentist I've been to. Highly recommended. Very good impression. Got here two crowns and three fillings. Anesthesia was effective, manipulations - gentle. All the steps/approaches have been explained by dr. Merzon very well. Very professional. Really makes you feel like you're getting taken care of. Got me in same day I was having really bad tooth problem. Even went out of way to find me a oral surgeon that day when we couldn't get ahold of the two near me. Super friendly and definitely be going back. This was my first appointment. I felt welcome. Dr. Merzon answered all of my questions without conveying any sense of time pressure. I was really impressed by the newest technology and by the exceptional attention to cleanliness.